The results of the Food Management Today Awards 2019 were announced at the awards ceremony on 31st January. A total of 13 products acquired an accolade, including SPAR’s Luxury Victoria Sponge Cake which triumphed in the bakery category, earning the coveted title ‘Best Bakery Product’. The awarded products emphasise the quality of SPAR’s food and celebrate the creativity, innovation and excellence within our entire range. 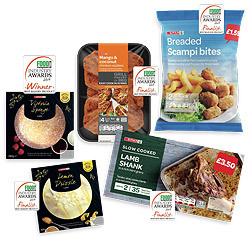 SPAR competed alongside entries from Waitrose, Aldi and The Co-op.